According to an article from CNET, a Florida man has filed what may be the first lawsuit in the US involving the Samsung Note 7’s combustible battery. 92 reports in the US alone have said the phone battery overheats, with 26 reports of it causing burns. Jonathan Strobel of Boca Raton perhaps has the most alarming story about the Korean manufacturer’s new smartphone. 28-year-old Strobel has recently filed a lawsuit concerning the Note 7’s combustible battery, saying that his device exploded in the front pocket of his pants this September 9th. “His right thigh has a deep second-degree burn the size of the phone,” Strobel’s lawyer Keith Pierro told CNET. The Palm Beach Gardens Fire Rescue also cited the phone as having melted in Strobel’s pants. His argument is that Samsung could have taken immediate action to protect customers but chose not to. Although Samsung announced a self-initiated recall the week before Strobel’s accident, it did not work with the US Consumer Product Safety Commission on an official recall until a week later, when injuries had already been sustained. Others have made complaints that Samsung has not done enough to contact Note 7 customers personally. Australian Tham Hui said on September 4th that his Note 7 caused $1,400 worth of damage to his hotel room. “You’d think they’d contact people [who] bought directly from Samsung to return their Note 7,” said Hui at the time. We’ve all seen the ads that explain why piracy is theft. And yet a lot of people use torrent sites to access bootlegs copies of their favourite shows, movies, and music with an easy conscience. But why? New research by Australian PhD student Robert Eres has shed some light on the phenomenon. Eres’ home country, despite its population of only about 23 million, leads the world in Game of Thrones piracy. Australians aren’t all thieves though, right? Eres studied the brain activity of a person stealing via file sharing compared to someone doing something obviously criminal like shoplifting. 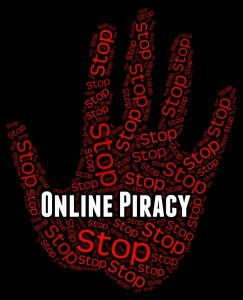 Here’s the catch – our brains won’t let us feel the same guilt about piracy. Eres’ study proves the human brain cannot process the same level of guilt in a crime where physical objects are not involved. “The findings from the two brain imaging experiments suggest that people are processing the intangible and tangible objects very differently within their brains,” Eres was quoted as saying in a CNET article. He connected these findings to the rise in online bullying and hacking, suggesting that the same logic might apply. Hundreds of Spotify accounts were compromised when a list containing personal details was posted on Pastebin last weekend. The list includes vulnerable information such as passwords, email addresses, username and account type. Thankfully, payment information was not revealed. Although Spotify maintains the “records of the users are safe,” users themselves are more concerned. Some noticed playlists on their accounts they did not create and others had unfamiliar tracks in their “recently played” tab. Most worrisome, some users have even been locked out of their accounts. All this occurred within the same frame of time as the records being posted online, leaving a rather obvious correlation. It’s not the first time this has happened: last November, more than 1,000 Spotify email logins and passwords were hacked, making their information public and locking users out of their accounts for three days. Clearly Spotify, like other web-based services, will have to work to upgrade its security and protect the privacy of its users. In the meantime, change your Spotify password if you’ve been hacked or not, just to be safe. Communication app Viber is following in the footsteps of WhatsApp and making end-to-end encryption default for its 700 million user base. That means every text message, photo, and whatever else you can share on Viber will be protected. And because it is not an American company, it’s not subject to U.S laws. End-to-end encryption means not even the Viber itself can see what’s passing between users once they update their software to Viber 6.0. Basically, the sooner users do that, the sooner their personal conversations are completely protected. This will take some time, as many people are either slow or hesitant to update their applications. However, even if only 10 percent of Viber users make the update, it will encrypt a group of users larger than the United Kingdom. The decision for Viber and WhatsApp to encrypt their user-base comes after the Apple-FBI controversy over the San Bernadino shooter’s iPhone. The incident has sparked a debate amongst the tech community over which is more important in the digital age; privacy or security? Clearly WhatsApp and Viber have chosen the former. He argues that messaging apps are a central part of life now, and that users should have a fun experience with them without feeling like Big Brother is watching. Careless drivers are always quick to deny using their phone during a crash. 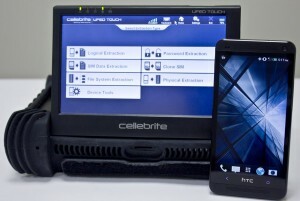 Soon law enforcement officials may be able to prove a driver was fiddling with their screen thanks to the Textalyzer. Just like a breathalyzer can detect alcohol in your bloodstream, the Textalyzer can tell if a phone has been accessed, including call logs, text messages and media files. It could be a great resource for an investigating officer, but privacy watchdogs have raised alarm bells despite assurances all personal data – which usually requires a warrant to obtain – would be blacked out. The Textalyzer hasn’t yet been approved for use in the United States, though it is a device we’re sure many police services are itching to get their hands on. The Federal Communications Commission (FCC) is handing down a massive fine to a telecom company that defrauded the government of nearly $10 million. 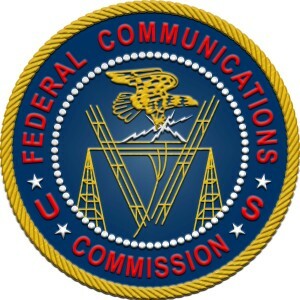 The FCC announced the $51 million fine against Total Call Mobile in a press release last week, alleging the company signed up tens of thousands of duplicate and ineligible consumers to the Lifeline program. The Lifeline program offers phone service to low-income consumers at a reduced rate, allowing them to connect with jobs, family and emergency services. Eligible phone service providers receive $9.25 per month for each consumer receiving the service, with the intent of passing on the reimbursement to the customer. The Total Call Mobile fine is the largest ever handed down for Lifeline infractions. “The Commission alleges that since 2014, Total Call has requested and received an estimated $9.7 million dollars in improper payments from the Universal Service Fund for duplicate or ineligible consumers despite repeated and explicit warnings from its own employees, in some cases compliance specialists, that company sales agents were engaged in widespread enrollment fraud,” states the release. Total Call Mobile offered the service in at least 19 states. An Enforcement Bureau investigation found the company was aware of issues surrounding duplicate enrollments up to a year before authorities raised the issue with Total Call. In late 2014, there is evidence as many as 99.8 percent of the company’s enrollments were made by overriding the third-party verification system designed to catch duplicates. One sales agent was arrested and charged with identity theft after they allegedly used ID from a stolen wallet to register 10 Lifeline cell phones. When the agent was taken into custody they had 12 additional Lifeline cell phones and the stolen wallet in their possession. In addition to the fine, the FCC says it may take action to strip Total Call’s authorizations to operate as a common carrier and Lifeline provider. Software creator Oracle has filed a $9.3-billion lawsuit against Google, alleging the tech giant illegally used its Java software in developing the Android OS. Oracle has some experience facing off against Google in civil court – its previous lawsuit ended with uncertain results in 2012. Android is the most widely used OS in the mobile world with an 80.7 percent market share. Oracle maintains it is looking for a fair share of this success and has increased its damages by 10 since the 2012 lawsuit. If Oracle wins this suit, it will be the biggest copyright verdict ever, seconded only by the $1.3 billion won by Oracle from SAP in 2010. Of course, Google has refuted Oracle’s claims, saying the case “ignores the statutory standard for copyright damages and fails to offer anything resembling expert analysis,” states an Inferse.com article. In this week’s Schooley Mitchell lawsuit watch we take a look at a case that Verizon recently lost in the Pennsylvania Supreme Court, forcing the telco to pay taxes on fees collected for installing phone lines, performing repairs and providing directory assistance. According to the Daily Journal, the issue started 11 years ago when the Department of Revenue delivered Verizon a bill for an additional $48 million in taxes. The amount was lowered by its board of appeals to just $10 million. A subsequent ruling in 2013 by the Commonwealth Court put Verizon on the hook for revenues associated with installing lines and directory assistance, but said it didn’t have to pay for moving or changing lines, or any repairs. But that’s all changed since the Supreme Court ruled that yes, Verizon does owe taxes on all of it. And others could be impacted by the decision – the Pennsylvania Telephone Association has warned the precedent means other companies may face hefty back tax bills related to other matters before the courts. Chief Justice Thomas Saylor noted it has been over 70 years since the scope of gross tax receipts has been clarified by the Legislature. “I find this state of affairs an unhappy one and would welcome a decision by the legislative branch to enter the field and provide guidance,” said Saylor, in his dissent. Verizon refused to comment on the matter, as did the Department of Revenue, citing confidentiality. In criminal news, a Los Angeles man is facing eight years in prison after pleading guilty to wire fraud. According to the Associated Press, Karen Galstian told Verizon he needed phones for drivers in his expanding business. He managed to purchase thousands of iPhones for 99 cents each under contract. He then sold them to companies who shipped them to emerging markets overseas. Galstian pocketed $13 million as a result of the scam. Considering he was also convicted of bank fraud in an earlier case, we suspect he’ll be spending lots of time behind bars. The phone rings and you pick it up. On the other end, a recording tells you the IRS is filing a lawsuit against you. You’re given a phone number to call to get more information about your case. Your heart beats a little bit faster and anxiety rises. The IRS? Lawsuit? Take a deep breath, exhale and relax. Resist the urge to dial your lawyer. You’ve got nothing to worry about: this phone call is currently being received by people across America. And it’s fake. There are a few versions of this scam currently circulating. But the essence of the call is the same: the robocaller will say the IRS has made multiple attempts to contact you and a lawsuit is being filed. The voice will advise you to call back – sometimes a number is left, other times it is not. Then a second call often follows, this time with more urgency, threatening to place a lien on assets. Those who call the scammers back usually end up talking to someone who tries to elicit sensitive personal information, such as your Social Security Number. Sometimes they’ll even know the last few digits already, or offer to send you an email decked out with fake IRS branding to trick you into thinking it’s the real thing. They’ll ask you to wire money or send prepaid debit or credit cards to pay back your debt. Though the majority of us see through these scams, there are people who fall victim. According to the Treasury Inspector General for Tax Administration (TIGTA), over 3,000 people have been bilked out of over $14 million over the last few years. Nearly 300,000 complaints have been registered with the TIGTA. The IRS says the scammers have preyed on immigrants – people with less knowledge about the U.S. tax system – in the past. 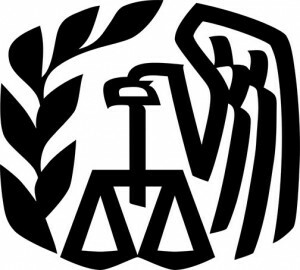 Activity often picks up during the income tax filing season. The agency reminds consumers it never asks for credit or debit card information over the phone. If you receive such a call, you are encouraged to report it to the TIGTA via this online form.